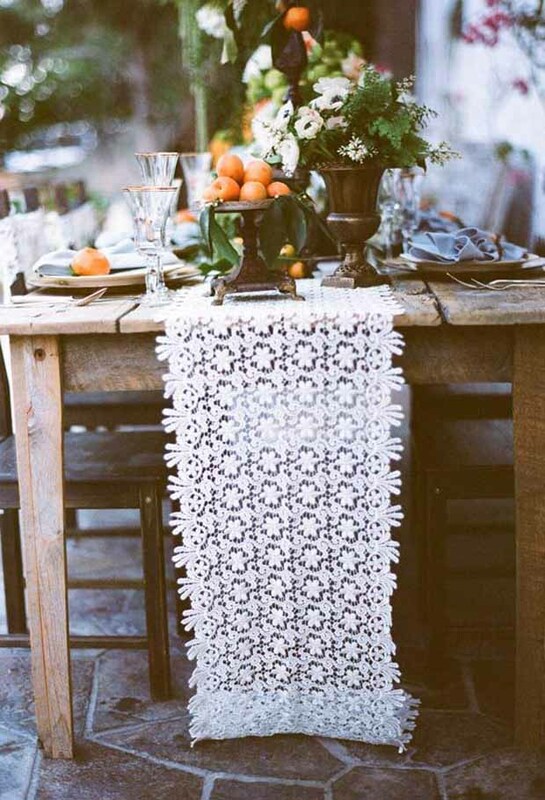 26 Ridiculously Pretty & Seriously Creative Wedding Table Runners Ideas You're So Gonna Want! 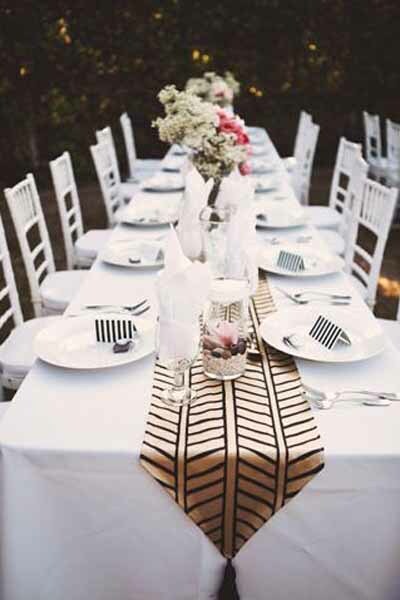 Home > Wedding Ideas > Reception > 26 Ridiculously Pretty & Seriously Creative Wedding Table Runners Ideas You’re So Gonna Want! 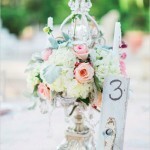 Today’s wedding inspiration post is a super sweet curation of the prettiest and most creative table runners! 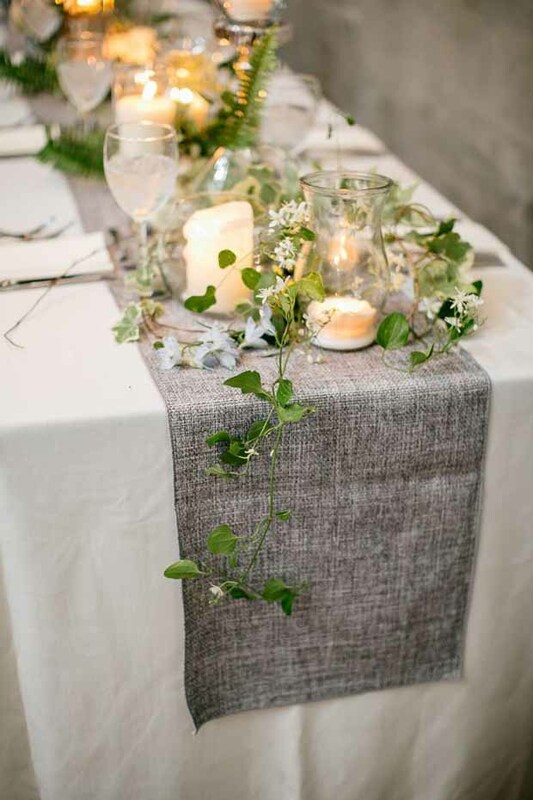 Why not wow your wedding guests and go all out in the style stakes with one of these gorgeous gorgeous GORGEOUS table runner ideas! 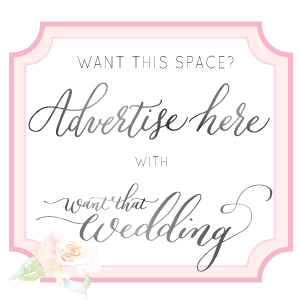 Extra bridal points for being a creative bride-to-be too! 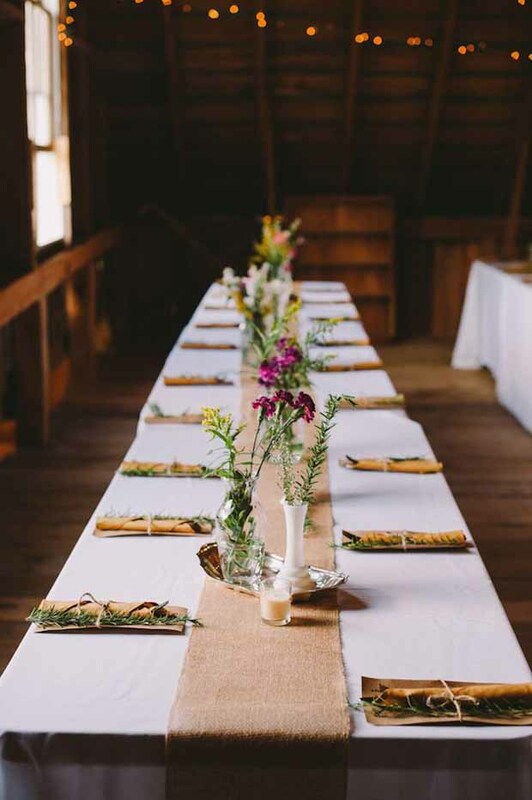 If you’re planning a rustic wedding do, then a pretty burlap table runner could be just your thing. Super easy to craft. You could go for plain and simple, or if you’re feeling a little more crafty, why not have a go at making your own burlap table runner edged with LACE. Failing that you can purchase them here ;) [you’re welcome]. 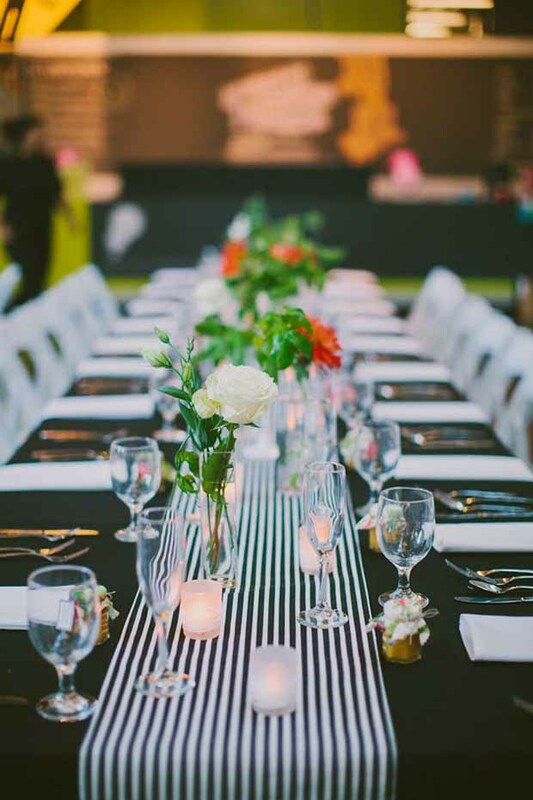 If your wedding has a modern and contemporary edge, how about a cool and contemporary striped table runner? 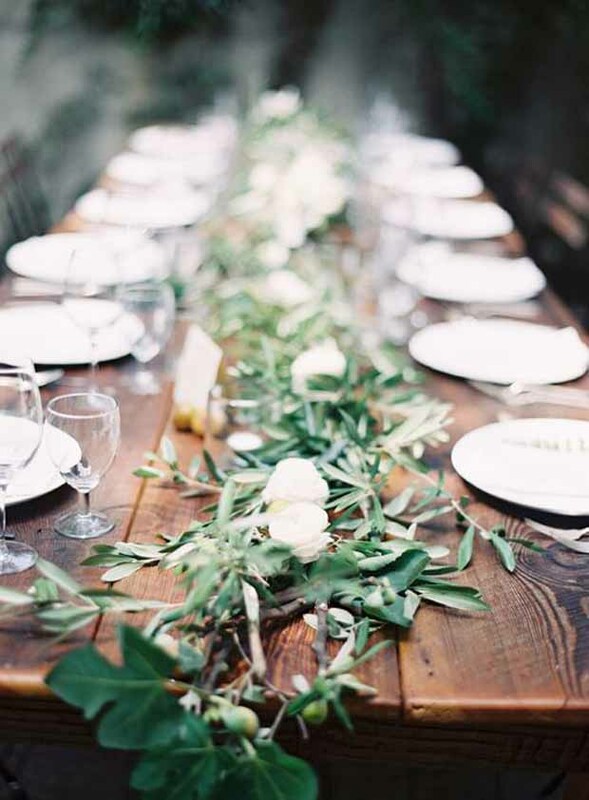 The geometric table runner below has a chic modern meets art deco vibe. 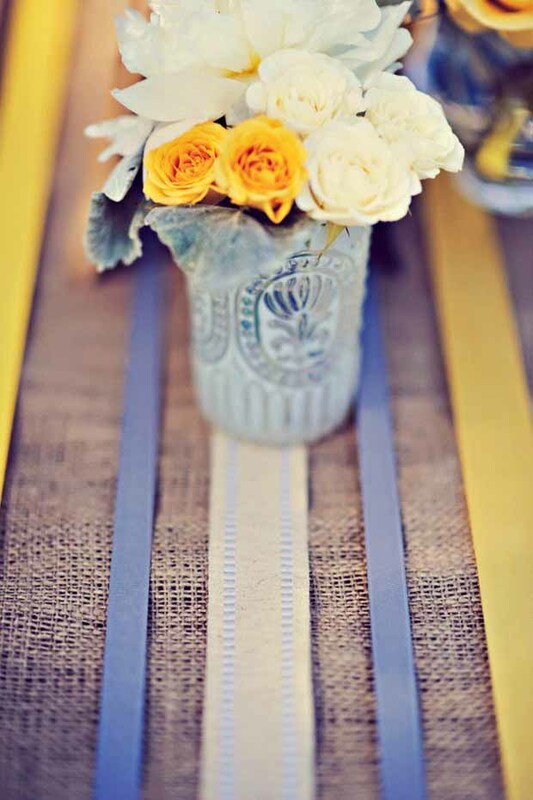 Another great and cunningly crafty idea for the DIY bride is to use lengths of ribbon to create a table runner. 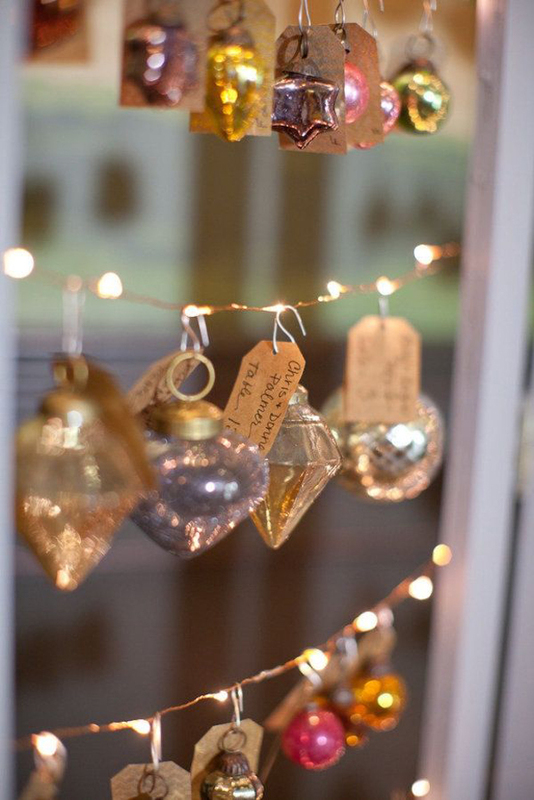 I also love the gold circle garlands too! Fix these straight on to your tables or place them over a piece of your chosen material and glue to secure. 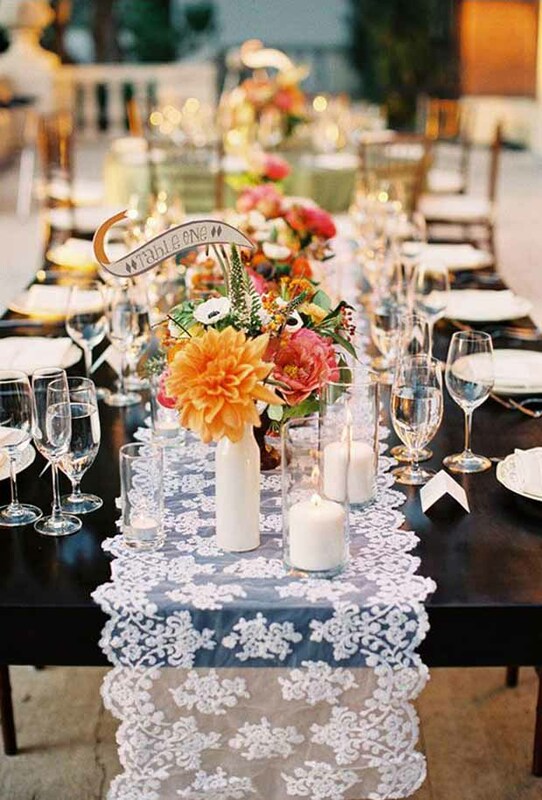 These table runners are all about the lovely lace. 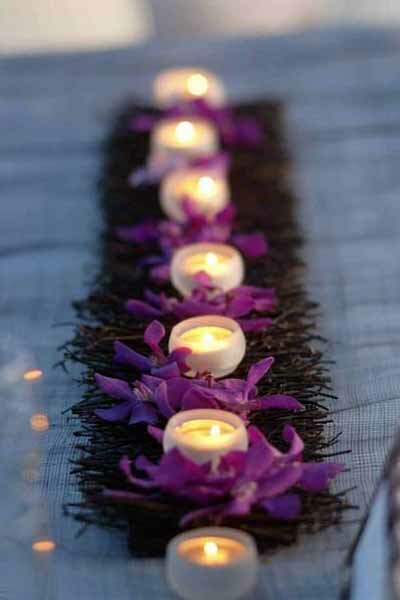 One of my favourite wedding table runner ideas for sure. It’s super pretty and super girly. Just like me [ahem]. 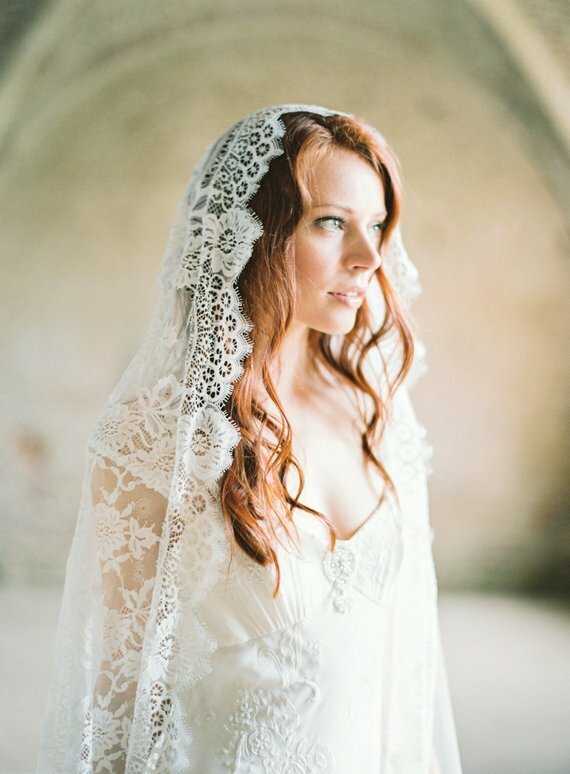 There are just so many different type of lace to choose from depending on the kind of look your are after. 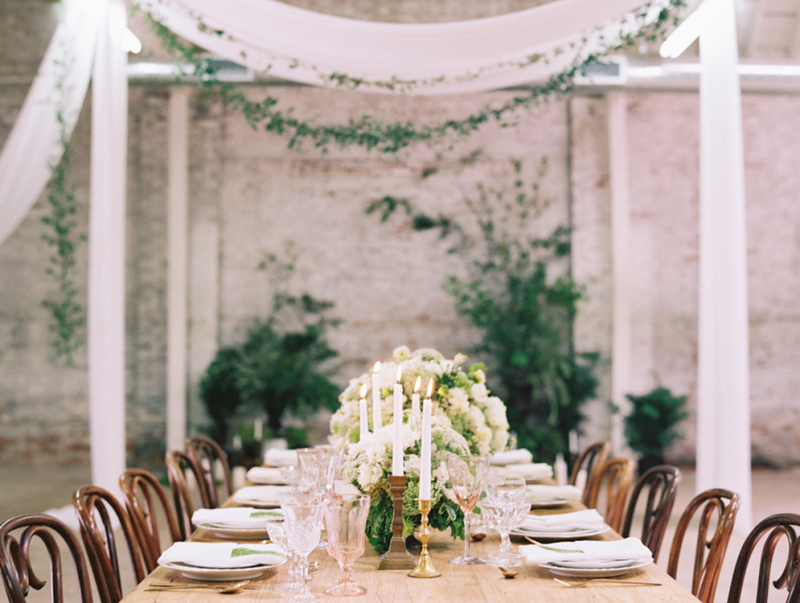 Vintage, elegant, rustic, chic. Too. many. choices!! 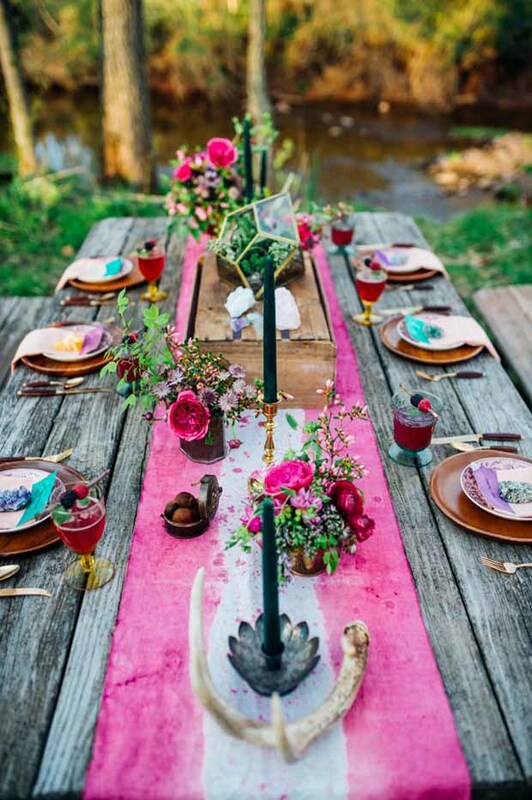 For a gorgeous bohemian vibe, you could have a go at creating your very own dip dyed table runners. Tutorial here. 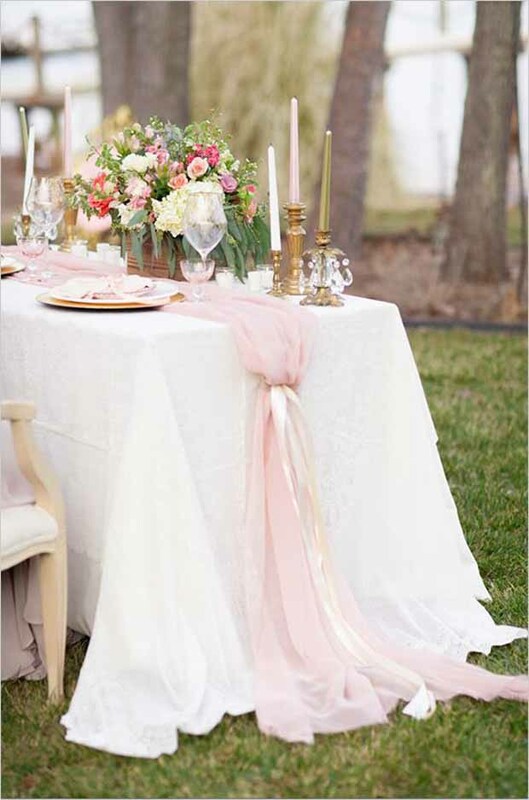 If you’re a die-hard romantic then a table runner made from tulle could take you all the way to swoonsville. 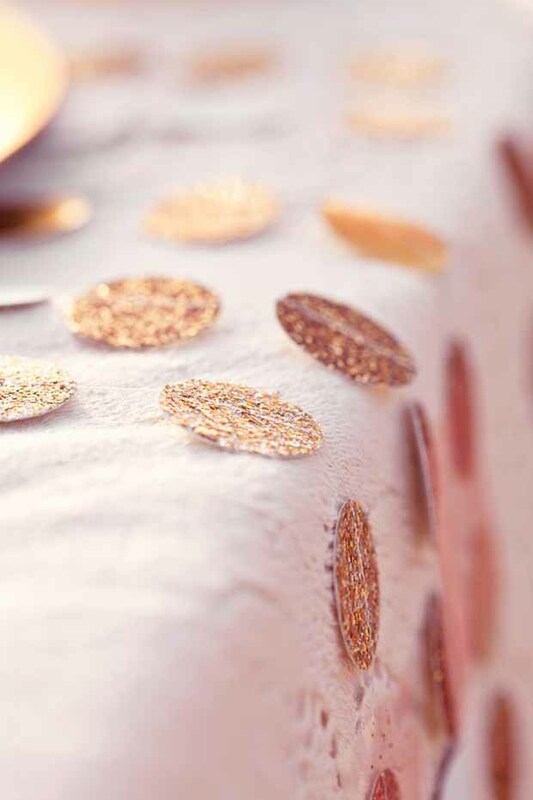 Add a bit of bling to your table runner thing. 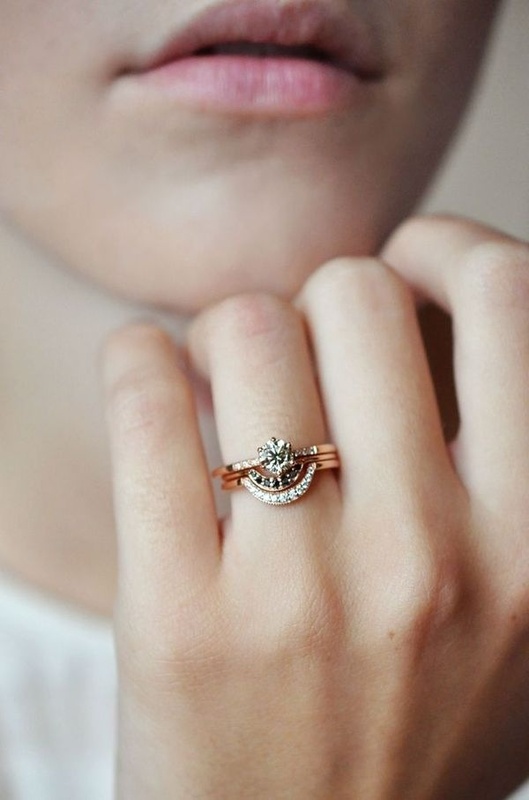 Weddings and bling should be the law. 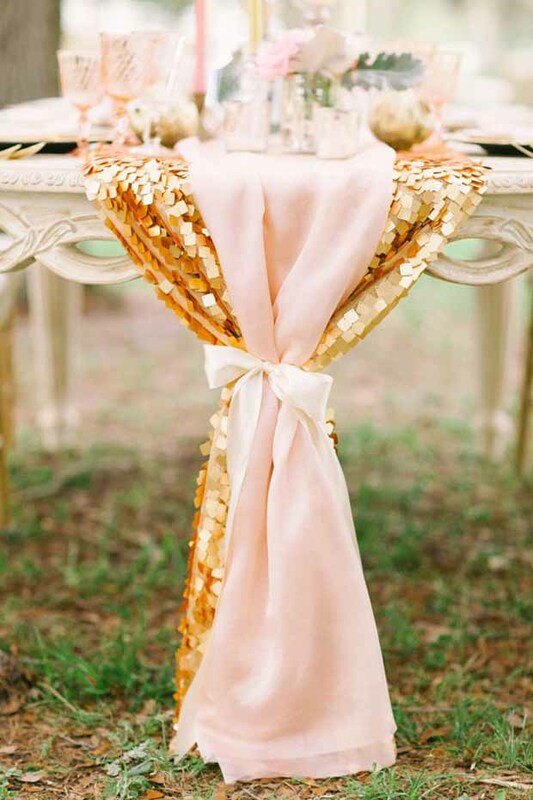 This sequin style table runner totally rocks. 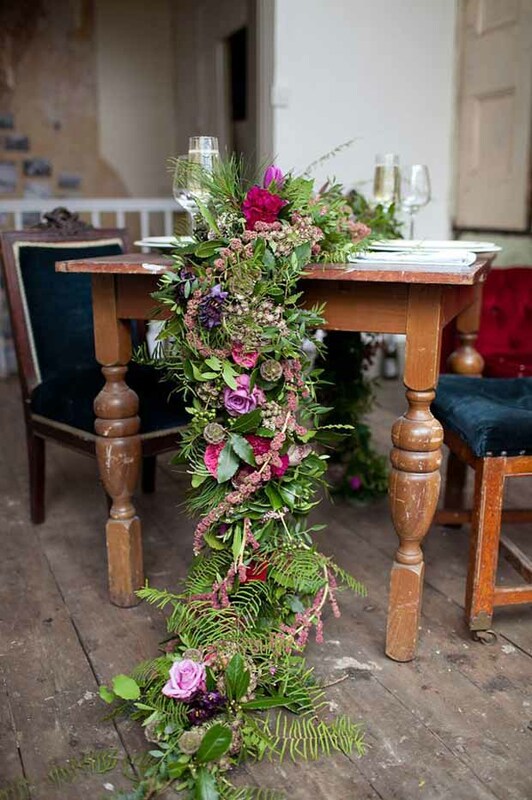 A beautiful [and a tad expensive, sorry ladies] way to decorate your wedding tables can be with a floral table runner. 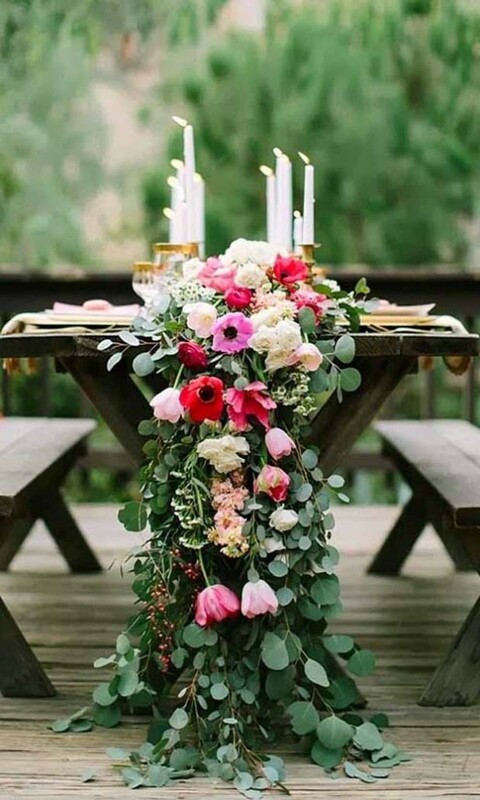 Make them EPIC with a cascading floral table runner or totally unique like this tropical floral table runner above! 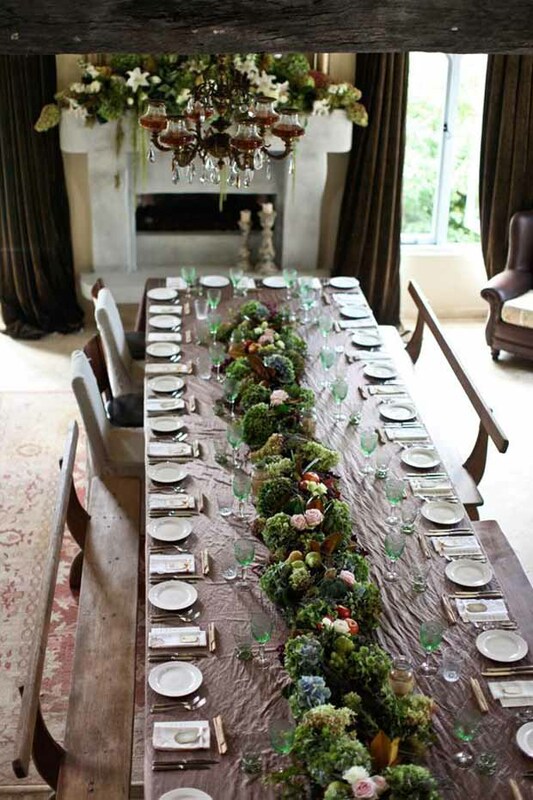 Perhaps a more cost effective option might be to use more foliage and less flowers or just decorating the top table. Other great ideas are to use fruits as well as plants and the foliage. 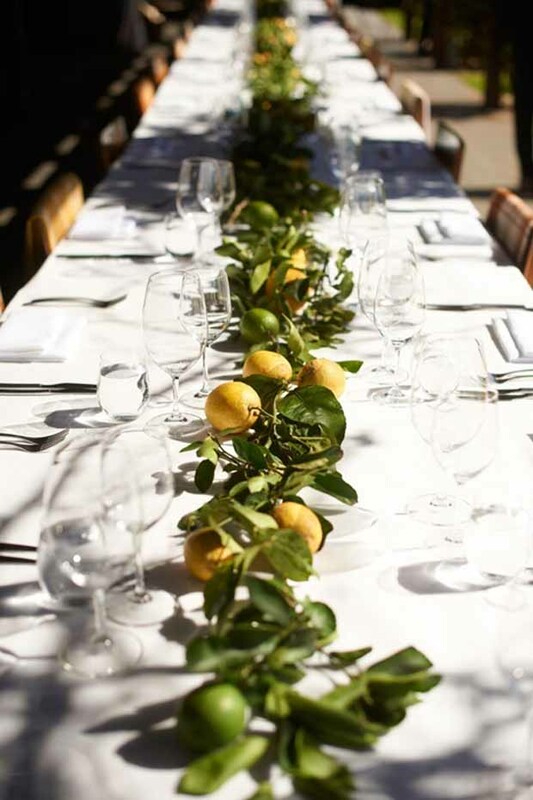 Keep it simple with lemon and lime branches or be extra extravagant with lots of sumptuous fruits and plants. 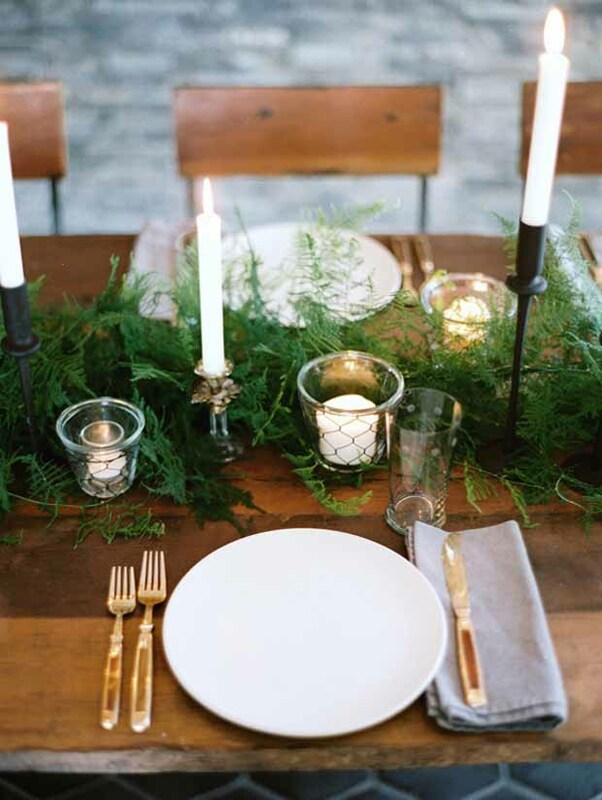 Great for an autumnal rustic theme! Staying with the plant ideas. I love how simple this delicate fern foliage is. 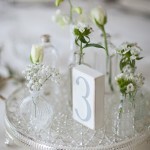 Pop in a few mercury glass votives and vases to create an even prettier affect. 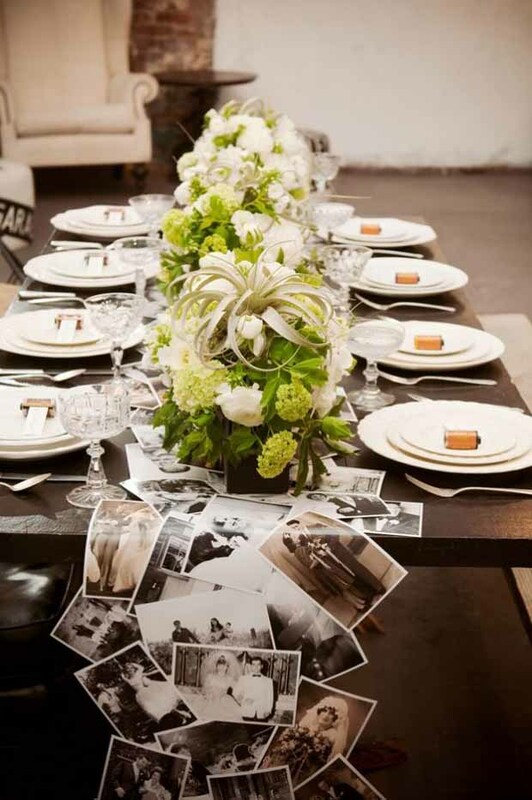 Create a table runner collage of your family members on their wedding days. I’m wiping away the tears! 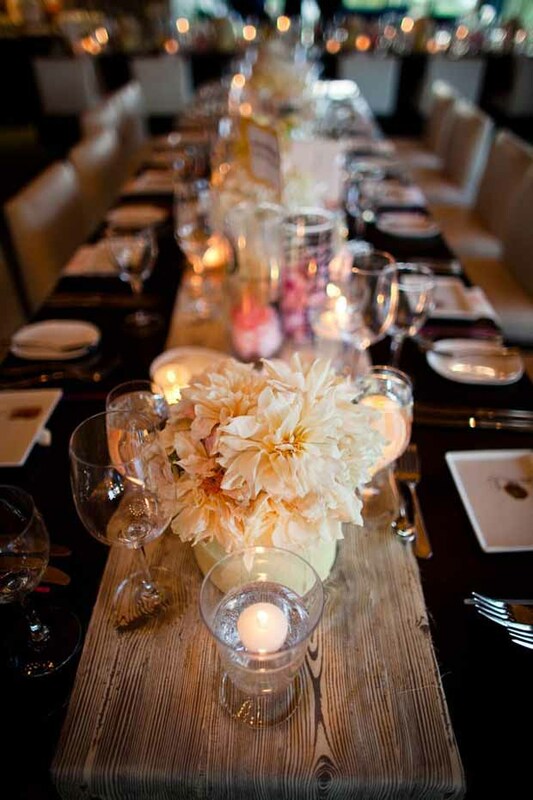 Another favourite idea is using planks of wood as a table runner to place your vases and candles on. Sand them down, bleach them or even paint them! 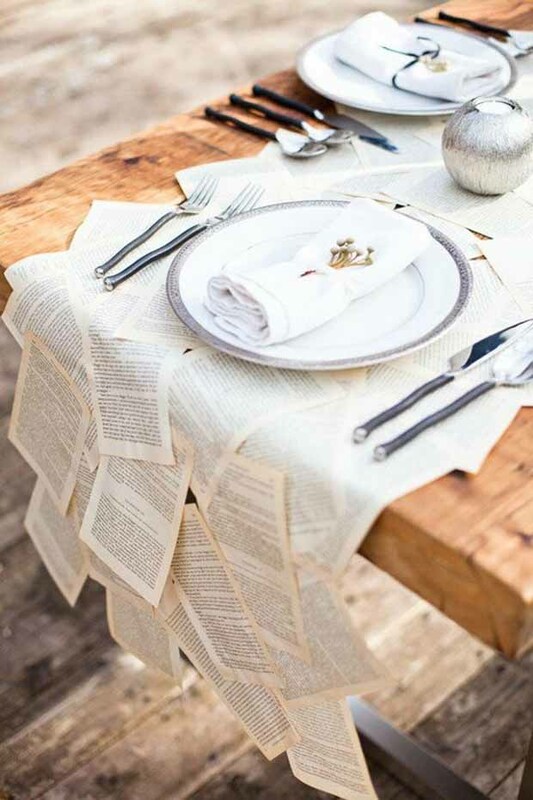 Using pages from all vintage books to create table runners is a very easy way to be creative and unique. 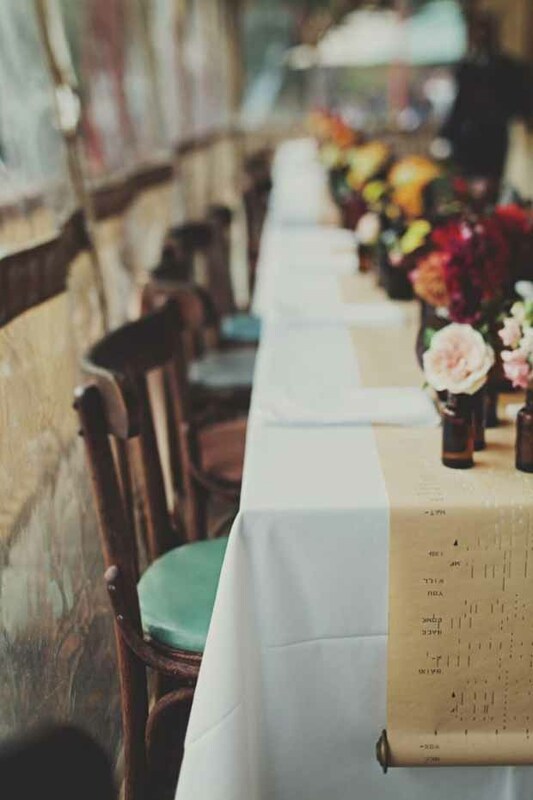 And what do you think of this piano roll table runner? 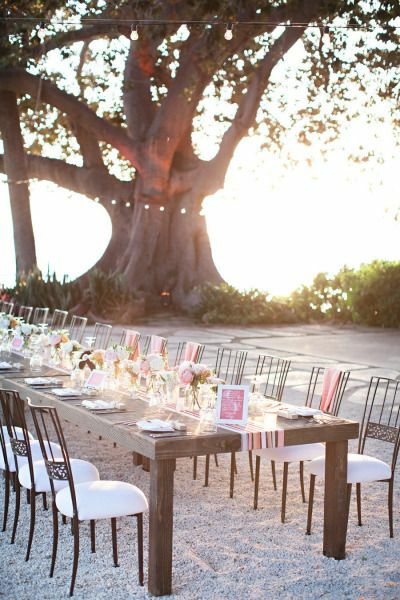 Pretty awesome right and great for a musical themed wedding. 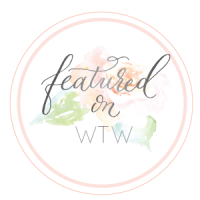 Aren’t these ideas amazing! So creative. So pretty! 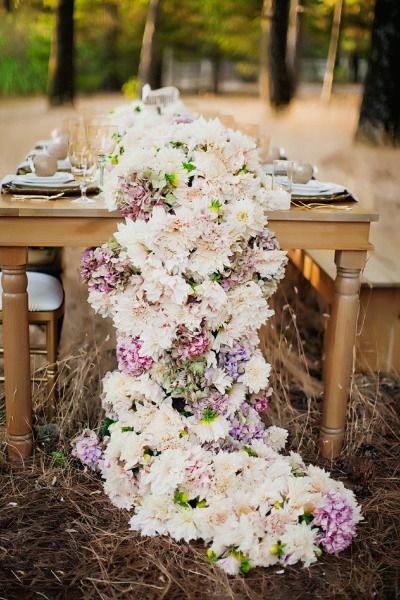 Here’s another epic floral cascading table runner. Just because. Love all of these. Lots of them are also really simple to do. So beautiful but i know can also be expensive. My daughter would love this on her wedding day. 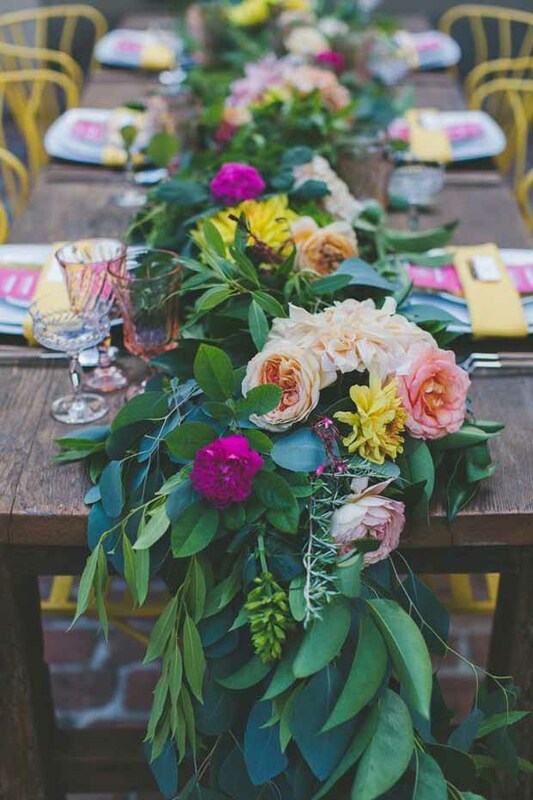 Table runner flower garlands is beautiful. 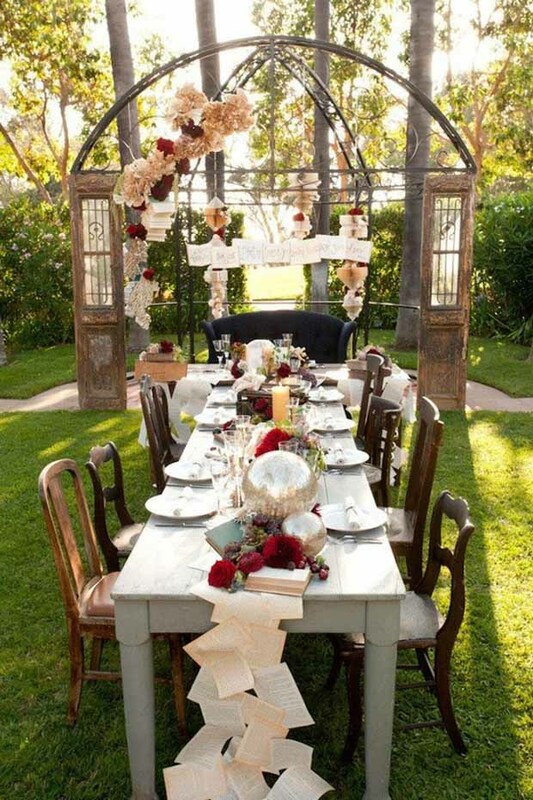 A great variety of gorgeous ideas. 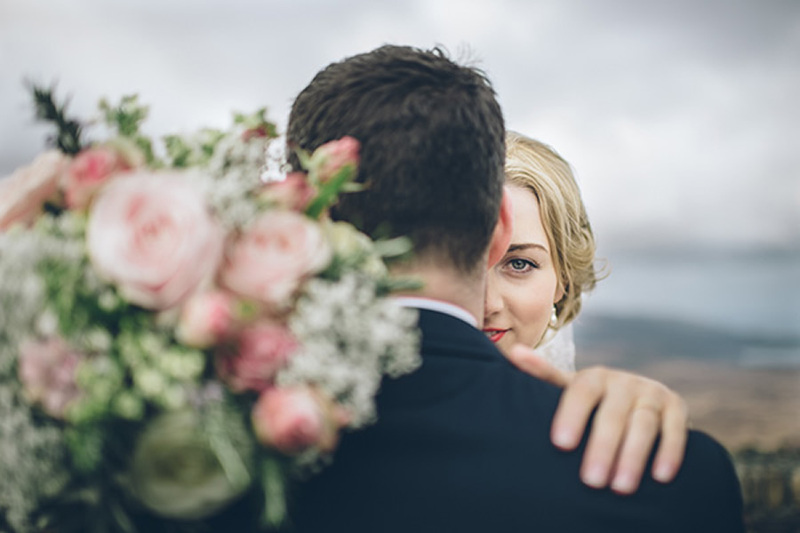 I love the elegant simplicity of the purple orchids and the glamorous sparkly gold and so many of them really! 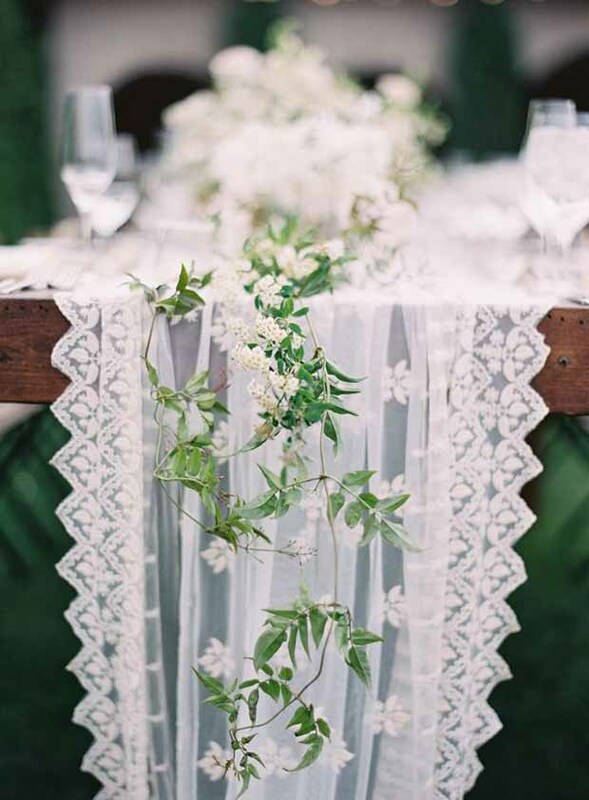 adore all the beautiful pictures of table runners.